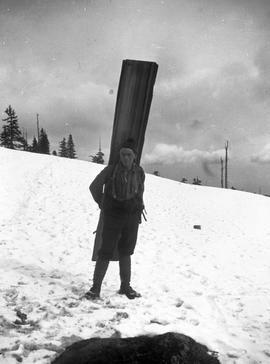 Don Munday packing floor boards for construction of Alpine Lodge cabin, Grouse Mountain; box 37, "Films Lent by M.V. Moffatt". 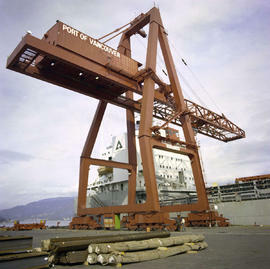 Preparing to load and ship cattle on the S.S. "Beaver".